Before taking any action in reference to Florida Lake Aquatic Vegetation, please read the following information taken directly from a Lake County Department of Growth Management article entitled "Everything you wanted to know about zoning... but were afraid to ask." The Bureau of Aquatic Plant Management (a subdivision of the Florida Department of Environmental Protection) requires the issuance of a permit prior to the removal of ANY wetland vegetation (this includes removal prior to the construction of a boat dock or seawall). 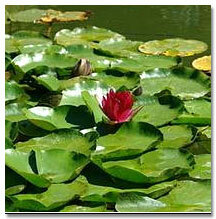 Contact the local FDEP office at (407) 894-7555 and ask for DEP form 50-032(16), Aquatic Plant Management Application. If you have questions concerning the ability to remove lake vegetation in Florida, please contact the local Florida Department of Environmental Protection office at (407) 894-7555.